"MIZ & MRS" shares an exclusive inside look into their life. "After trading the Hollywood Hills for a quiet life in Austin, Texas, the power couple soon discover there's nothing "quiet" about a life filled with two dogs, two cats, their adorable baby, Monroe, a crazy live-in mother-in-law and the demands of their high-octane careers. With new mom, Maryse, returning to the ring just months after giving birth and Mike's career soaring to new heights, The Miz and Maryse continue to prove their outrageous in-ring personalities are no act," says the USA Network press release. 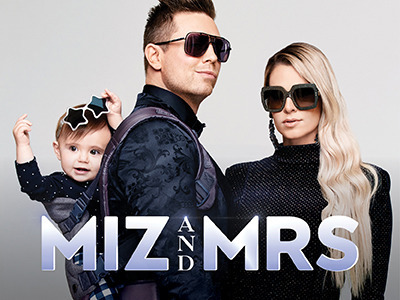 Currently airing season one, new episodes of "MIZ & MRS" air on Tuesdays at 10 pm ET on USA.